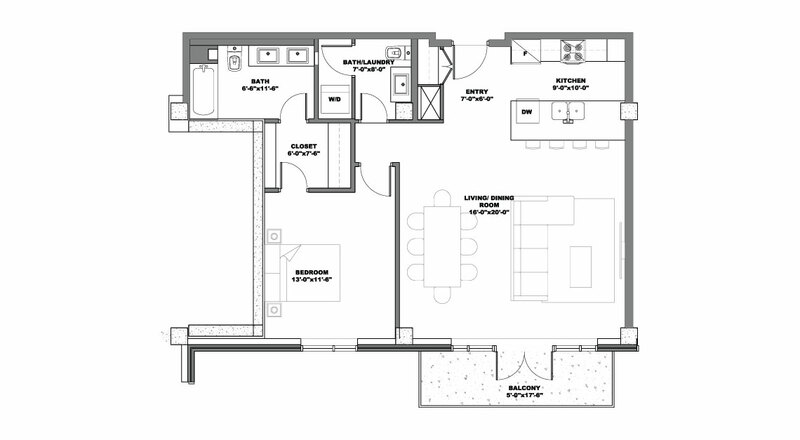 Enhance your lifestyle with The Keep’s magnificent floor plans. Find the one that’s perfect for you. A spacious south-facing 1 bedroom condominium on The Keep’s third floor; fully equipped with your most practical luxuries and designed for a full range of lifestyles. The high-end kitchen is appointed with a magnificent centre island, quartz countertops, soft-close drawers and cabinets to the ceiling. Enjoy ample kitchen storage with lots of drawers and your own walk-in pantry. The living room and dining area were designed with the whole family in mind and offer incredible comfort with lots of light and raised ceilings. This condominium is capped off with a full master suite that includes a walk-in closet and full ensuite; another half bath with in suite laundry and your own private balcony. The Keep provides tremendous features in each of its condominiums. In addition to the list below you can explore more of what The Keep has to offer on our Features and Amenities page. Experience authentic luxury living at The Keep.